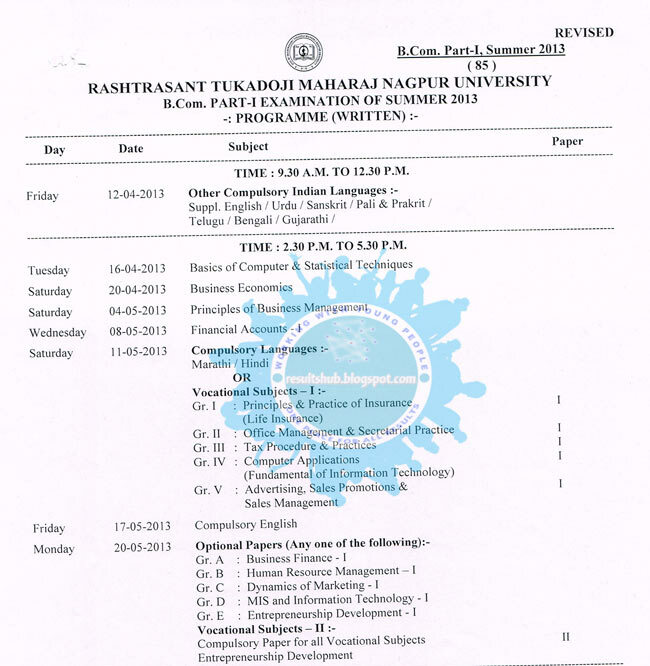 RTM Nagpur University BCom First Year Summer 2017 Timetable | Revised New Summer 2017 Timetable B.Com. Part 1, B.Com. First Year Timetable RTMNU Summer 2017.